There’s a small flower garden on the property of the church where I serve. As I passed it in my car this morning I felt like it was Easter in June. 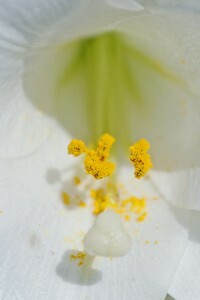 There for all to see were several beautiful Easter lilies in bloom. When I noticed them I couldn’t help but recall Jesus’ charge to “consider the lilies.” He spoke those words in Matthew 6:28 as he encouraged his listeners not to worry. Jesus indicated that the lilies were provided for by God. He intimated that if God takes care of them we can rest assured that He will take care of us as well. That is a truth I need reminded of on a regular basis. The fact that it was Easter lilies I was looking at led my thoughts elsewhere. 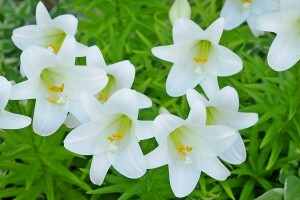 Easter lilies are trumpet shaped and might be said to herald the good news that Christ is risen from the dead. The resurrection of Jesus, of course, stands at the heart of the Christian faith. It was this event that caused the church to begin to worship on Sundays rather than on the Sabbath. Everything hinged on the resurrection of Christ. The apostle Paul went so far as to say “if Christ has not been raised, your faith is futile; you are still in your sins.” (1 Corinthians 15:17) Even though it is now the end of June the flowers I saw this morning served as a reminder that the celebration of Easter is always appropriate. Happy Easter! I hope you have had a wonderful and blessed day. This morning, while scanning entries posted on Facebook, I found where someone shared the following quotation by Martin Luther: “The promise of the resurrection is not in books alone, but in every leaf in spring-time.” In Luther’s words we see once again how God’s “other book”—Creation—complements the Scriptures. It is, of course, primarily in the New Testament that we find the story of Jesus’ death and resurrection. And what a story it is! After all these years I am still amazed by the whole account of Jesus Passion and the empty tomb. I am also so very thankful for what this story means. This morning I preached on Paul’s words in First Corinthians 15: 17, “…if Christ has not been raised, your faith is futile; you are still in your sins.” It is my firm conviction that my faith is not futile and that my sins have, in fact, been forgiven. Why? Because Jesus lives! 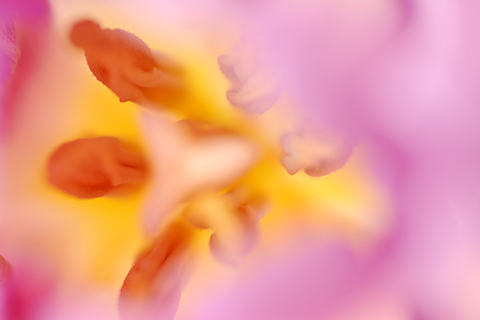 The biblical message of resurrection is echoed in Creation. For those with eyes to see it is everywhere. 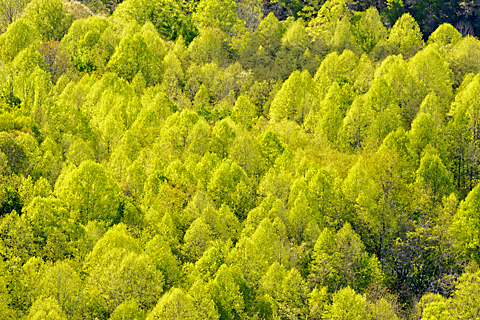 Martin Luther was right; “every leaf in spring-time” proclaims resurrection. Every flower that burst forth from the ground, likewise, shouts the good news of resurrection. Even the light of dawn each morning reminds us of God’s resurrection power. I am so very thankful for all of nature’s reminders because the implications of the resurrection are huge. In the passage I noted above Paul says if Christ be not raised our faith is in vain, our sins are not forgiven, and he goes on to add, those “who have fallen asleep in Christ are lost” or no longer exists. (v. 18) So much hinges on Jesus’ resurrection that first Easter long ago! It is the “good news” that our Savior lives that brings us comfort and joy. It is this same good news that is the source of our peace and hope. For that reason I am grateful that God has placed within His Creation many visible reminders of His resurrection power. These reminders can and should enrich our lives throughout the year.